Is Gooseberry Really a superfood? 9 Reasons Why You Should Include it in Your Diet! Gooseberry or Amla is synonymous with sour taste. However, don’t just overlook it because of its taste as it is a power house of nutrients especially Vitamin C. This little green fruit has been used since ages to treat a number of ailments. Traditionally, amla is used as a cure for a lot of diseases. It is even used in culinary delicacies, as jams, pickles, in beverages, and so much more. 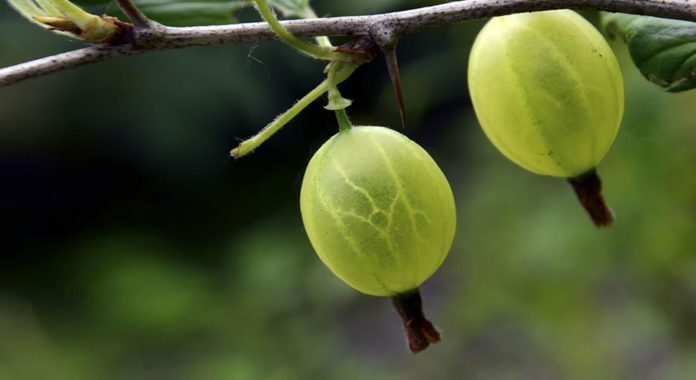 Read on to know why amla is a superfood. Amla is a rich source of Vitamin C, which is essential for the repair, development, and growth of all body tissues. Vitamin C is excellent for your skin, hair, wound healing and the absorption of iron. So, time to say goodbye to all those pills as this is natural and completely safe. Acne is a chronic inflammatory condition usually found in adolescents and young adults , but it can occur at any stage of life. There is a plethora of creams and treatments that are available, but they are usually very expensive and do not guarantee any results. Amla is a natural blood purifier, which fights the microorganisms in our skin and hence helps us get rid of pimples and acne. All you need to do is drink amla juice twice a day. You can also apply the juice on the affected area, let it dry and then wash it off. Vitamin C in amla flushes out the toxins from your body and not only helps avoid pigmentation but also makes the skin look younger and glowing. Amla also keeps wrinkles at bay. How? Vitamin C in amla increases collagen production, which helps in keeping your skin looking young, plump and wrinkle-free. Just consume two glasses of amla juice every day. Long and lustrous hair is now possible!! There is increasing scientific evidence that Amla stimulates your hair follicles, which helps accelerate your hair growth. Not just that, it also prevents premature graying, makes your hair stronger, longer and voluminous, helps you get rid of dandruff and prevents hair fall. Massage the amla oil on your scalp regularly and you will notice the difference. You can also make amla hair masks using amla powder to speed up the process. As mentioned above, amla is loaded with vitamin C, which plays an essential role in maintaining retinal cells and promoting healthy capillaries. Coupled with honey, gooseberry is found to improve nearsightedness and cataract. It also helps avoid red, watery and itchy eyes. So, drink amla juice every day to improve vision, and to get beautiful and healthy eyes. Drink amla juice every day in the morning to get relief from joint pain and swelling associated with arthritis. Yes, it does. So the next time you come down with a nasty cold, instead of popping pills, just take one teaspoon of amla powder, mix it with one teaspoon honey and have it. Repeat it 3-4 times a day and it will help you get rid of your persistent cold and cough. Drink amla juice first thing in the morning, on an empty stomach and before every meal, it will help boost your metabolism and prevent bloating. The fiber present in amla will keep you full for a long time and you will be able to avoid overeating. Due to its anti-inflammatory properties, amla also helps you with painful and pesky mouth ulcers. For this, all you need is diluted amla juice. Just gargle twice a day with diluted amla juice to get relief from awful mouth ulcers. However, it is really important that you consume gooseberries in moderation since they contain fructose, which may be harmful to your health if consumed in excessive amount. Want to know more about super foods or the best diet plans for a fitter you? Call 18001212323 and get all your nutrition and health concerns answered.